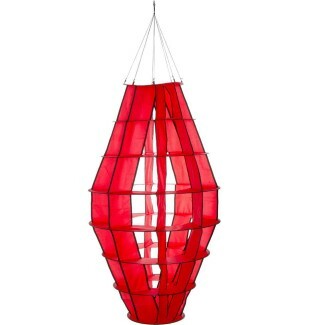 Made of translucent and fade-resistant ripstop polyester, Hoffmanns Lampion impresses not only by its size and timeless elegance, but also by its brilliant play of sunlight and shade. 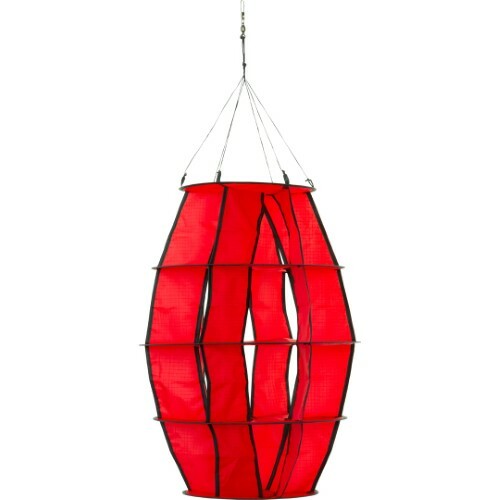 Hoffmanns Lampion requires no further assembly and comes with a swivel included. Collapsed as flat as a disk, the Lampion unfolds its seven rings like an accordion when it is suspended from a porch or patio. Sails between the rings make the Lampion spin even in the slightest breeze. Hoffmanns Lampion offers versatile possibilities for presentation. 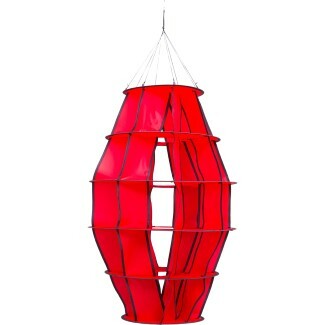 Mounted under a porch, the Giant Lampion elegantly and majestically rotates around its center. Suspended from a telescopic flag pole, the Lampion will gracefully spin and dance in the wind. Illuminated with customary LED lights (not included), Hoffmanns Lampion will create an amazing and magical light effect in the dark.